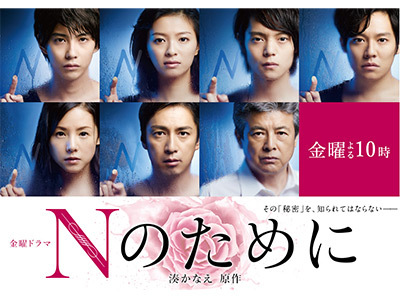 "The Testimony of N" - a novel by the bestselling author, Kanae Minato - is made into a TV drama starring Nana Eikura. 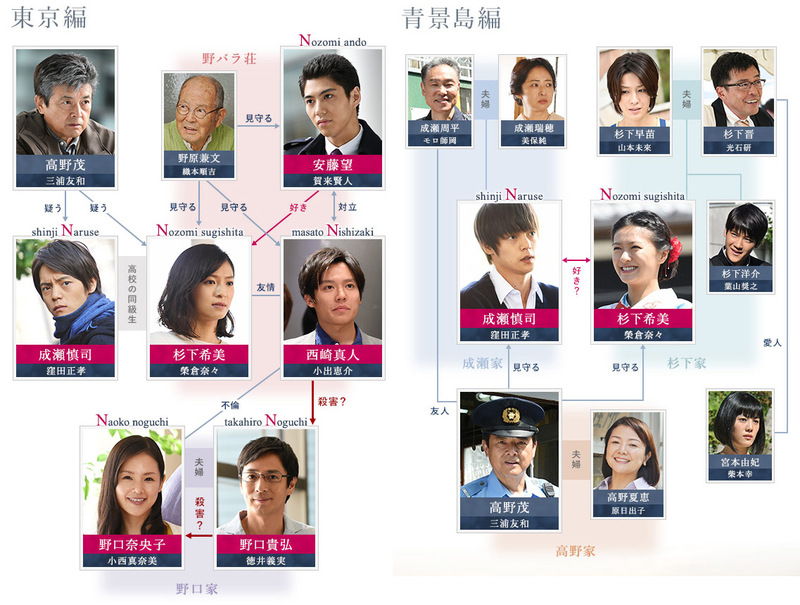 Reuniting the team which presented "Midnight Ferris Wheel" - another TBS drama based on Kanae Minato's novel last year - this drama brings the unique world of Minato's book to life. In 2004, Takahiro Noguchi (Yoshimi Tokui) and his wife, Naoko (Manami Konishi), were murdered in a high-rise apartment. There were four people at the site of murder: a university student - Nozomi Sugishita (Nana Eikura), Naoko's high school classmate - Shinji Naruse (Masataka Kubota), her neighbor - Nozomi Ando (Kento Kaku), and Manato Nishizaki (Keisuke Koide) who Naoko was having an affair with. Out of the four, Nishizaki was arrested for killing the couple and sentenced to 10 years in jail. After completing the 10-year term, Shigeru Takano who is a former detective comes to see him to reveal the hidden truth behind the murder case. While the fanboys were off watching "Doctor X" this one slipped under the radar. Very good drama. Realistic, believable characters. Good job by all the actors. Special mention to Nana Eikura, she was outstanding. My only complaint is that they brought in the old "terminal illness" cliche which I thought was totally unnecessary.